He has been responsible for delivering worldwide multi-million pound biscuit machinery projects, fully commissioned and operational. 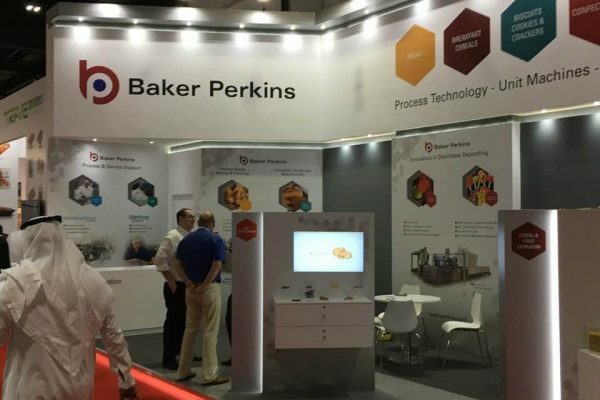 He joined Baker Perkins 20 years ago as a sponsored student before his electro-mechanical engineering degree at Aston University, Birmingham, UK. After a spell as a design engineer on biscuit machinery, he became a commissioning engineer; assistant chief engineer; and chief engineer. 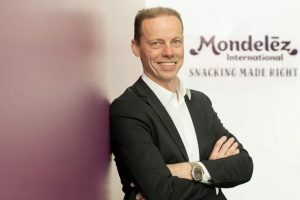 He returns to this position after a spell as engineering project manager at Cerealto where he was instrumental in the establishment of a new biscuit and bar factory in the UK. 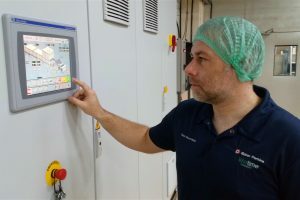 Baker Perkins, pictured above recently at Gulfood Manufacturing, supplies complete, automatic production plants include mixing, dough forming, baking and cream sandwiching technology; they harness the latest engineering and control expertise to maximise performance while making machines easier to operate, clean and maintain. The company uses its capabilities to design equipment that meets the specific needs of the industry, and innovates to solve problems such as better weight control, reduced maintenance and easier use. Its focus on technical excellence, customer-driven product development and innovation are firmly grounded in its process knowledge and engineering expertise won during 100 years involvement in the biscuit industry throughout the world.